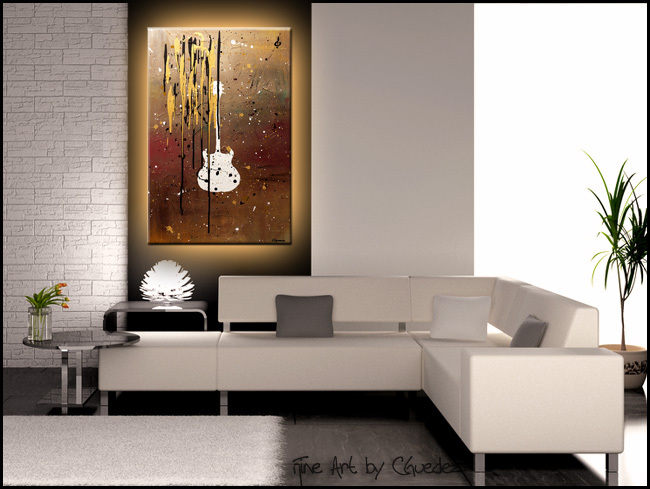 Designed to add excitement to your music room, this abstract painting? 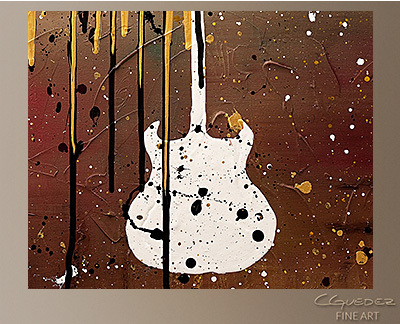 'Sweet Emotion' showcases a textured guitar. 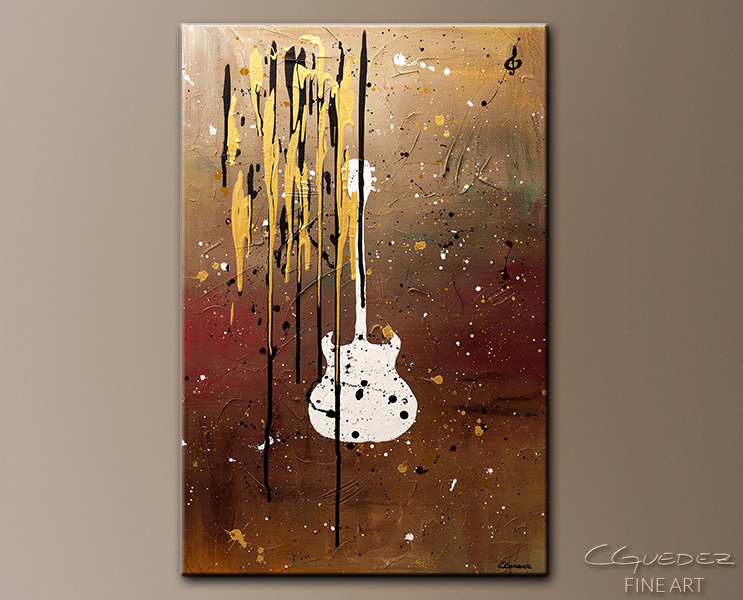 The black and gold drips make this handmade canvas art magnificent.